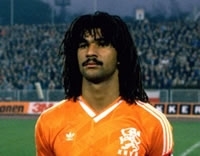 RUUD GULLIT’S ICONIC 80’S MOUSTACHE SET FOR CHARITY COMEBACK! Ruud Gullit is growing back his famous moustache in support of men's health charity Movember. 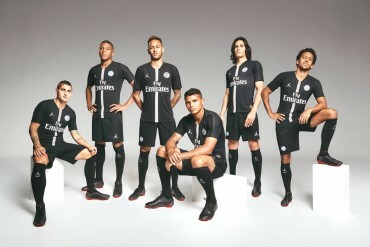 Okay, so the moustache is a start, but can someone get adidas on the job of re-issuing that kit? Blinder! 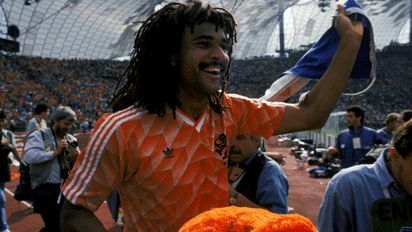 Movember, the month formally known as November, challenges men across to show their support for men's health by growing a Mo (slang for moustache) throughout the month, and this year Ruud Gullit will be rising to the challenge by growing back his iconic moustache. To follow Ruud's lead, men, known as Mo Bros, need to register on the website and are then challenged to start the month clean-shaven and grow a Mo. The moustache becomes the hairy ribbon for men’s health and the guys growing them become a walking billboard for 30 days. What we really need now is for a marketing team to come up with a reason to dub the month after Movember to ‘Dread-cember’ and we can complete the Ruud Gullit throwback look. The growth of a new Mo inspires conversations about not often talked about topics – men’s health and cancer affecting them. Women, Mo Sistas, who register are key to the campaign's success. They act as Mo ambassadors, spreading the word and showing their support for men's health and the moustache. Movember aims to change the face of men's health by creating a global focus on cancers affecting men, and with more than 1.1 million Movember participants to date Movember is a truly global movement. Working with our men's health partners, Movember helps fund a range of innovative, world-class programs in line with Movember's strategic goals of awareness and education, research, and survivorship. Love this, but the article is right – you gotta get the dread back, otherwise the balance is all wrong! This year, my wife is also taking part.